Home / Books / General / AMOR, Anne Clark. Alice Come True to Alice in Lyndhurst. AMOR, Anne Clark. Alice Come True to Alice in Lyndhurst. (Luton, Beds): White Stone Publishing, 1995. First edition. Slim pamphlet. 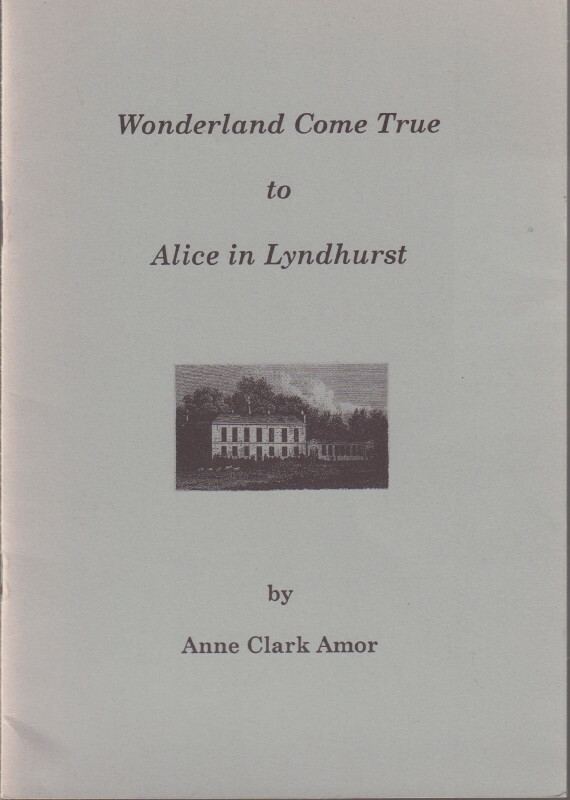 A short, well illustrated, account of Alice Liddell’s life at Lyndhurst. Contains research not included in The Real Alice and newly sourced illustrations. A near fine copy in stapled wrappers.